Marin Mobilization - Release the Report! Special Counsel Mueller's findings have now been turned in to Attorney General Barr. At this point, those findings -- "the Mueller Report" -- are in Barr's hands. MoveOn and many allies are calling on Barr to make the report public and for Congress to do everything in its power to ensure he does. 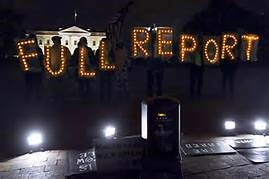 If Barr or Trump make moves to hide the report from the public, activists across the country are prepared to hit the streets to demand they #ReleaseTheReport and #MakeItPublic. Join us as we make our voices heard in San Rafael!